High-energy electrons were first used in radiation therapy shortly after the successful extraction of the beam from a betatron in 1947. By the early 1950s a few institutions using commercial betatrons or unique linear accelerators were treating patients on a routine basis. This modality remained confined to a few major centers until the 1970s when, with the commercial development of linear accelerators with suitable energy and retractable x-ray targets, many other institutions began using electrons for radiation therapy. The basic physics and dosimetry of high-energy electrons had been established for their initial clinical use. With their increasing use, details of their clinical dosimetry, which had lagged somewhat behind the corresponding developments for highenergy x rays, have been much further developed. Over the years several symposia have been devoted to dosimetry and treatment planning with high-energy electrons. In addition, extensive literature on various aspects of the use of in therapy has appeared. The International Commission on Radiation Units and Measurements (ICRU) has published an exhaustive and detailed report (ICRU, 1984) on essentially all aspects of electron-beam dosimetry, including updated values of basic dosimetry data such as stopping powers and scattering powers. That document is an excellent reference for detailed study of electron-beam dosimetry, but is not as practical for clinical use. NOTE: The version published here had an incorrect value for C3 (0.01025) on page 85 equation number 13. This was corrected effective June 13th 2007. 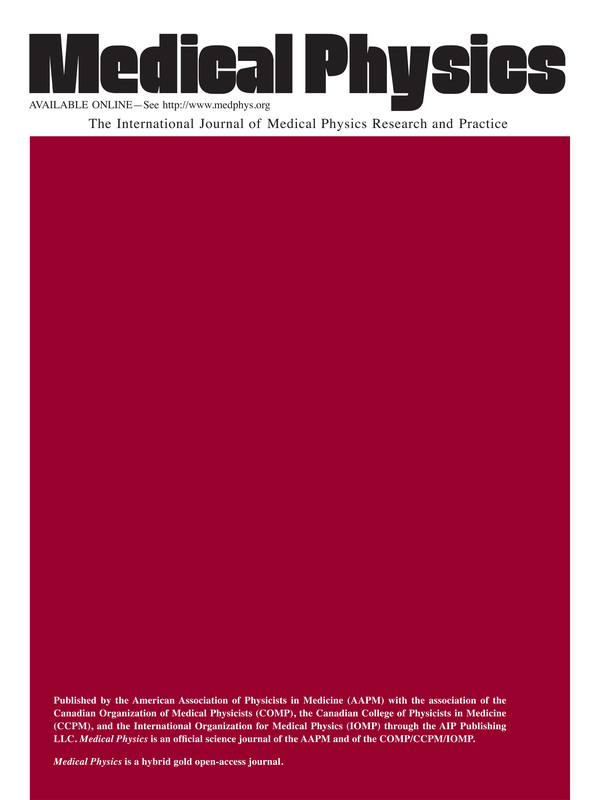 The version published in Medical Physics is correct (0.0025).